Welcome to my site for quick and delicious recipes. 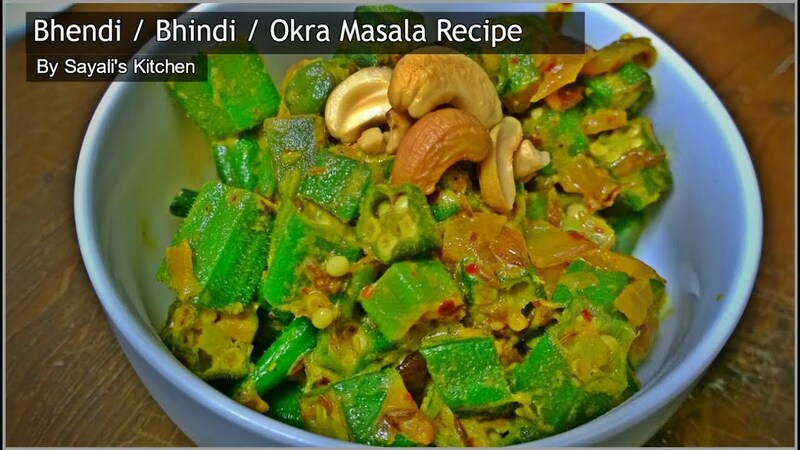 Okra or popularly known as Bhendi / Bhindi in India, is not only healthy but a good source of copper, niacin, fiber and vitamins. 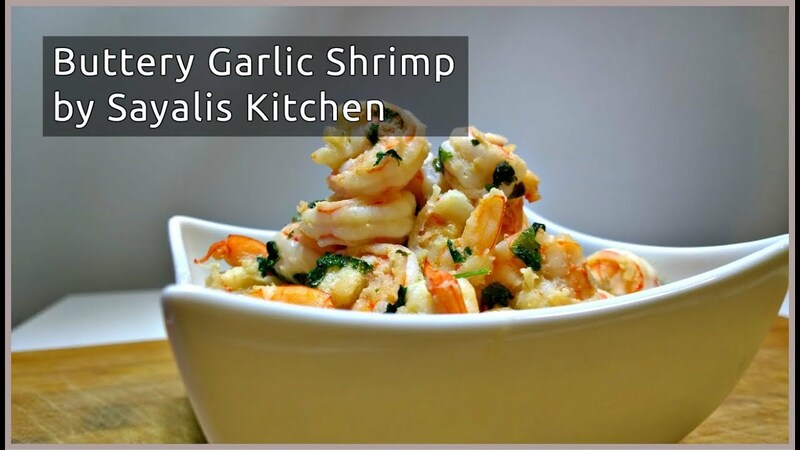 Try this spicy recipe and do share your feedback in the comments section. Do subscribe to get all the recipes and updates on SayalisKitchen !! 1. Keep your pan on medium heat. 2. Once pan is hot, add ghee. 3. Once ghee is hot, add cumin seeds and turmeric powder. 4. Add onion, green chili and cook till onion become translucent. 5. Now add garam masala, okra and mix it well. Let it cook for few minutes. 6. Lastly, add crushed red pepper, yogurt and salt. 7. Garnish it with cashews and serve it hot. Turmeric, the Yellow Spice is one of the most fragrant and Medicinal Spice. Turmeric Latte has been enjoyed in Indian homes for centuries and has taken the world by surprise on how healthy and beneficial it is. 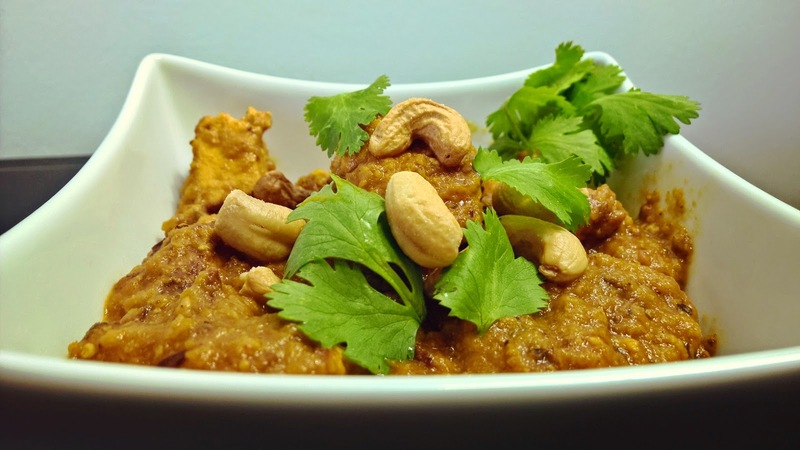 Try this spiced recipe and do share your feedback. Turmeric is beneficial for inflammation, diabetes, arthritis, sore throat, cough and cold and even tonsils. Please do subscribe to my channel to get all the recipes and updates. 2. Once pan is hot, add milk, spices. 3. Stir it well. Let the spices gives out aroma. 4. Bring it to boil. Now add saffron strands. 5. Now add turmeric powder, mix it well. Let the milk come to another boil. 6. Lastly, add sugar. You can also add honey or sweetener (1/4 tsp). 7. Strain and serve hot. 1. Keep your pan on high heat. 2. Once pan is hot, add oil and let it start to smoke a bit. 3. Add shrimp, garlic and butter. 4. Shrimp cooks really fast. Keep stirring it and notice how it changes it's color. 5. Now add coriander. You can also add parsley or oregano instead of coriander. 6. Let it cook for couple of minutes. 8. Stir and serve it hot. 2. Once pan is hot, add clarified butter or ghee. 3. Now add cumin seeds and mix it for few seconds. 4. Add onion, tomato and all other spices. let it cook for few minutes. 5. 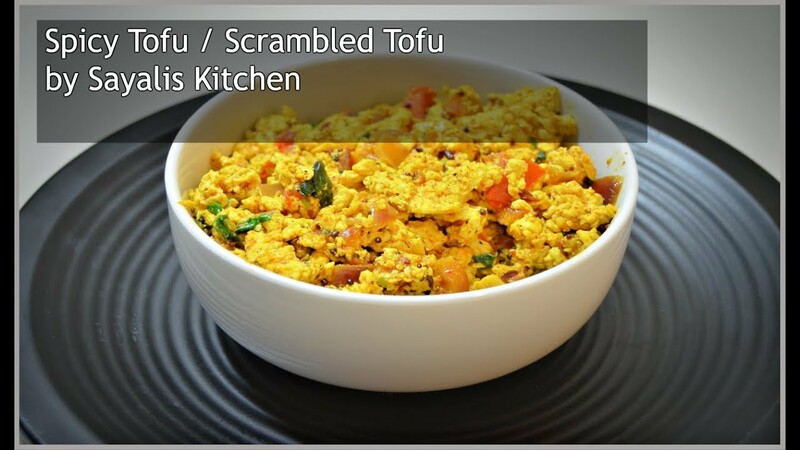 Now add scrambled tofu and mix it well. 6. let it cook for few minutes. 7. Serve it with Naan/Roti or have it just as it is. 1. This is very good source of protein for vegetarians. Cauliflower has very less carbs as compared to rice. With this recipe, you can make the low carb jeera rice which goes with any curry or just by itself too. Moreover this can be enjoyed by diabetics. Add any meat to this to make your favorite Chicken Recipe or Pork , Seafood too !! 5. Mix it well and let it cook for few minutes. 7. Add salt just before serving so that cauliflower does not give out moisture. 1. You can also use food processor to grind the cauliflower. Just chop it grainy, do not puree it. Eggs are not only nutritious but an easy fix for a healthy filling breakfast. 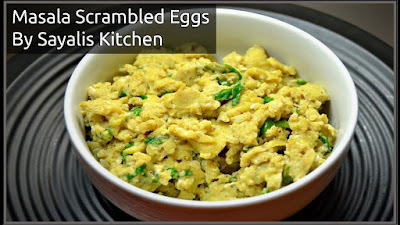 Why settle for plain scrambled eggs when you can make Indian Spicy / Masala Scrambled Eggs !! Very easy to make and on budget too. 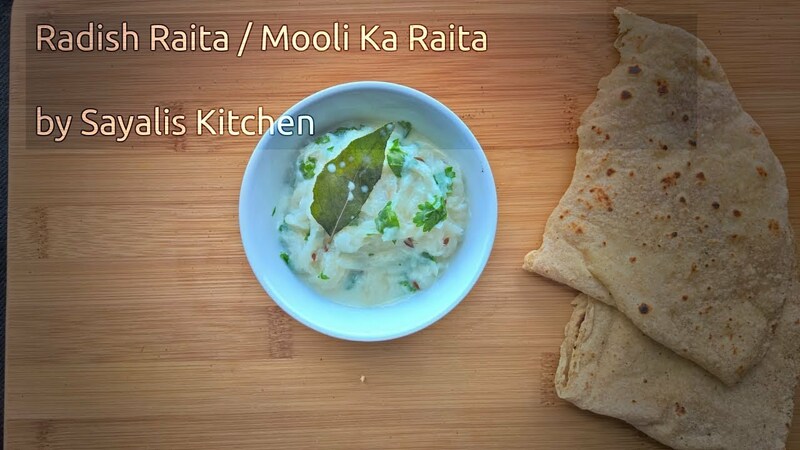 Try this recipe with a slice of toasted bread or even a paratha / naan. You can eat it as-is too. Please do share and subscribe to get all the updates on Sayalis Kitchen. 1. Keep your pan on medium heat and add butter. 2. Once butteris melted, add green chili and stir it 30 seconds. 3. Now add black pepper , garam masala, garlic salt and mix it well. 4. Add 6 medium sized eggs and keep stirring it. 5. Once mixture starts releasing from the pan, add whipping cream or milk. 6. Mix it well for couple of minutes and masala scrambled eggs are ready. 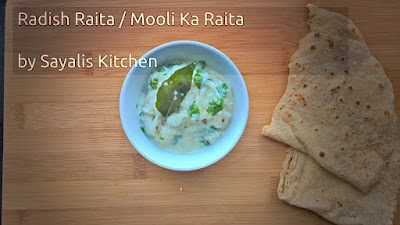 Raita is an integral part of the Indian Cuisine. Paired with Biryani, Breads or even by itself, this flavorful Radish and Yogurt recipe will bring exciting flavors to your meal. Radish are healthy, good for diabetics too. 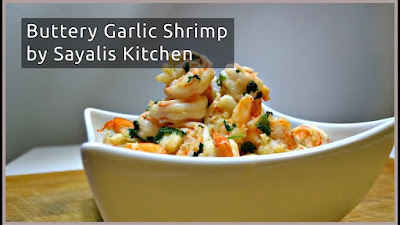 Try this recipe and do share your feedback as well. 1. Keep your pan on medium heat and add oil. 2. Once oil is hot, add cumin seeds, green chili and curry leaves. 4. Now add grated radish and mix it for 1-2 mins. 5. Remove it on plate and add yogurt, salt. Mix it well. 6. Garnish it with coriander / cilantro. 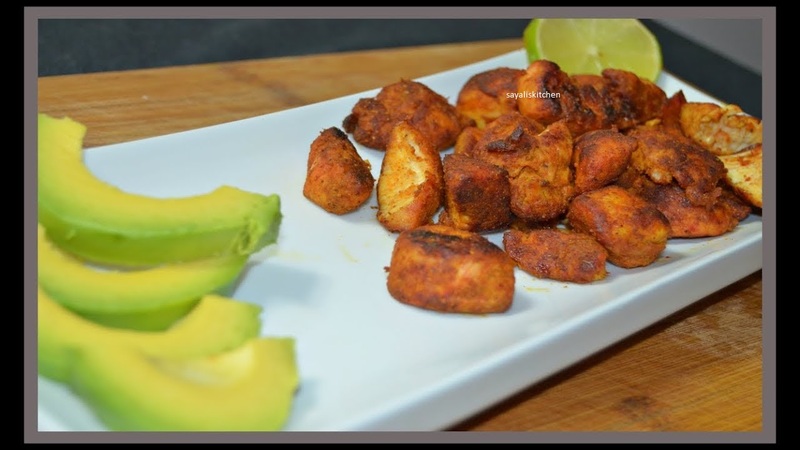 This quick chicken tikka recipe does not need overnight marination or a big list of spices and ingredients. Treat yourself to a very healthy snack or even a meal, paired with lemon or healthy fats like Avocado. Very quick to make, cheap and easy protein snack for all those who are into fitness or want to build muscle. An average chicken breast has around 34 gm of high quality protein. 2. Keep it aside for 15 mins. 3. Keep your pan on high heat and add 1 tsp oil. 4. Once oil is hot, add marinated chicken to it. Stir it for few mins. 5. Cover it with lid and cook it for around 4 mins. 6. Once it is cooked, you can easily cut using spatula. 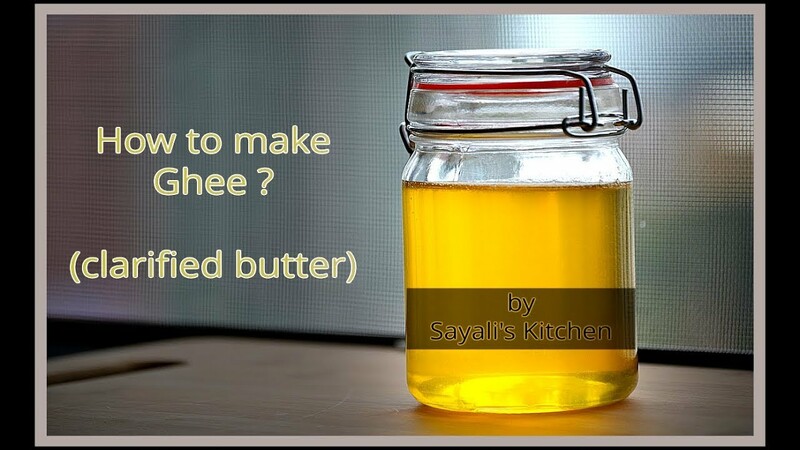 Ghee or Sajuk Tup ( in Marathi ) is considered as a miracle ingredient in Ayurveda. One of the most fragrant ingredient in Indian Cooking, from Biryani to frying Poori, even used to massage newborn babies, healthy for the body and skin, made right at home. 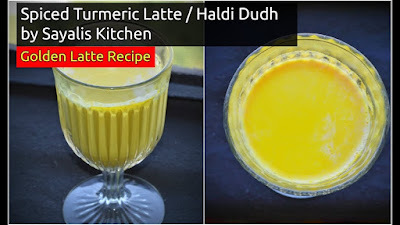 Try this recipe and do share your comments. 1. Keep your pan on low heat. 2. Add 2 blocks of unsalted butter. 3. Check if it has froth and remove froth. Now raise the heat to medium. 4. Once the liquid turns clear, turn off the heat. Let it cool down for 5-10 mins. 5. Filter using metal strainer and store. 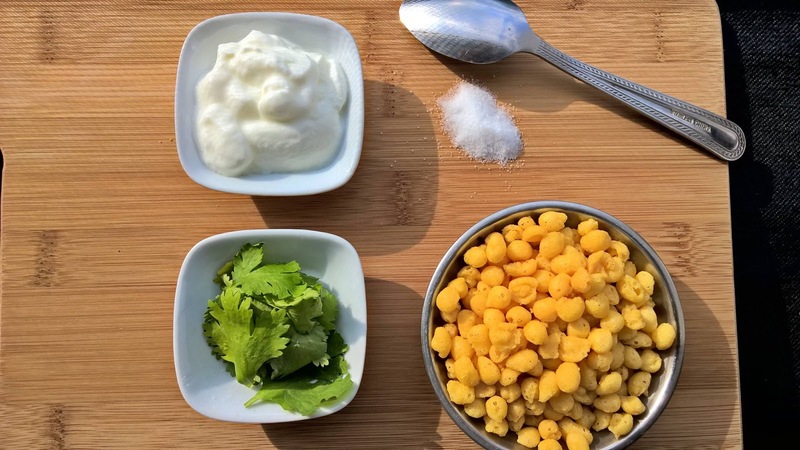 Boondi Raita is one of the most ordered Raita / Yogurt Mix at any Indian Restaurant. Try this easy and quick recipe to make it at home yourself. Please do share your comments and any requests for a recipe. Thank you for watching this video and please do subscribe to get all the updates on Sayali's Kitchen. 1. Take a big bowl and add yogurt. 3. Add sugar and mix it well. 4. Just before serving add boondi & salt. Mix it well. 5. Garnish with coriander / cilantro and serve immediately. 1. Take a big bowl. 2. Add whole wheat flour, salt and oil to that and mix it well. 3. Now add boiling water slowly and mix it with spoon. 4. Knead the dough till it is soft. 5. Now wrap the dough in plastic bag or Ziploc for 15 mins. 6. Take small portion of the dough and make a small ball. 7. By using rolling pin flatten the ball. 8. By using one small bowl, make small small chapatis out of it. 9. Keep the pan on high flame and roast the poli from both sides. Thank you for visiting my Blog. 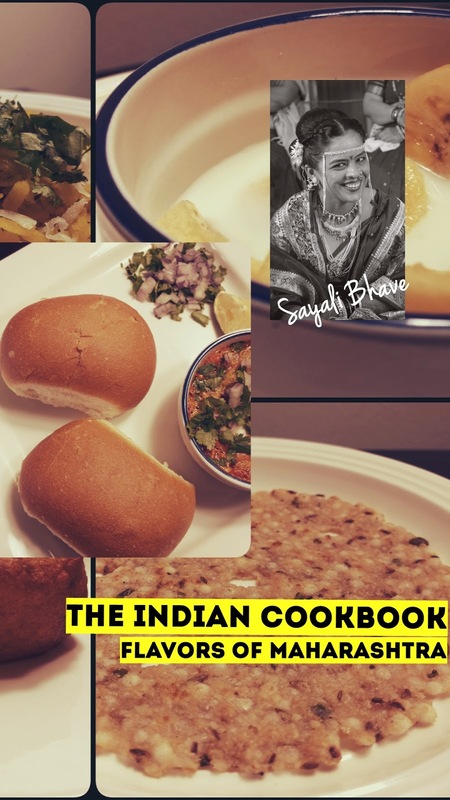 I am so happy to let you know that my first recipe book is available on Amazon and has all the recipes given to me by my mom and grand-mom. 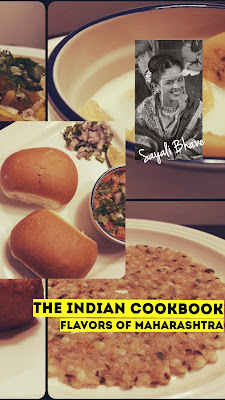 These recipes are the ones that i have had many many times over the years, growing up in Sangli - Maharashtra. Do buy a copy and let me know your opinion too. This recipe will show you how to make Hakka noodles at home and avoid oily and unhealthy street food. Lots of veggies make this a healthy alternative to pizza or burgers. 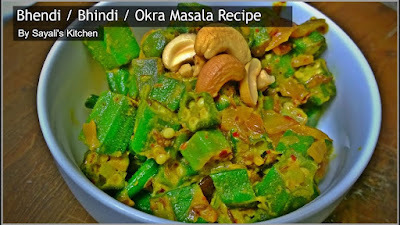 Do try this recipe, and share your comments too. Please do try this real quick recipe and share your pics and feedback too. 1. Boil water and put noodles in it. 2. Immediately remove the noodles and wash by cold water, keep it aside. 3. Chop all the vegetables in thin slices. 4. Keep your pan on high heat and add oil. 5. Now, add finely chopped ginger, garlic and stir for 1-2 mins. 6. Once it starts changing it's color, add onions. 7. Cook the onions for couple of minutes and then add all other vegetables and half portion of spring onions. 8. Cook them for 1-2 mins. (Please make sure that they are not fully cooked because we want the vegetables to remain crispy). 9. Now add all the sauces and mix it well. 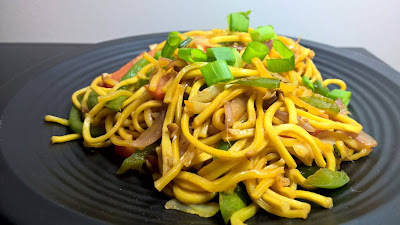 10.Add our par boiled noodles, salt, mix it well. Garnish it with spring onion and serve hot. Mango + Pancakes .....Yes !! Finally, we have the recipe of the most flavorful, lovely, delicate pancakes with mangoes. 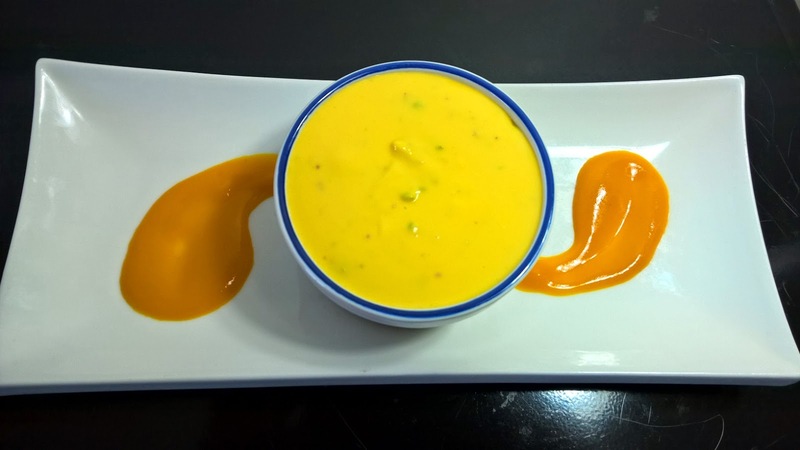 It has mango cubes, mango pulp, mango puree, mango cream and you can top it off with mango ice-cream. Do try it once and you will fall in love. 1. Pancake mix - You can also make one yourself with bleached flour / cream / milk / butter. 3. Add one bowl of batter to the pan. Spread with spatula or turn the pan at an angle. 4. Cover and cook for around 8 minutes. 5. Place the pancake in a plate, add cubed mangoes, fold the pancake and add mango cream to the side. 6. If you want, you can add a little whipped cream too. 1. 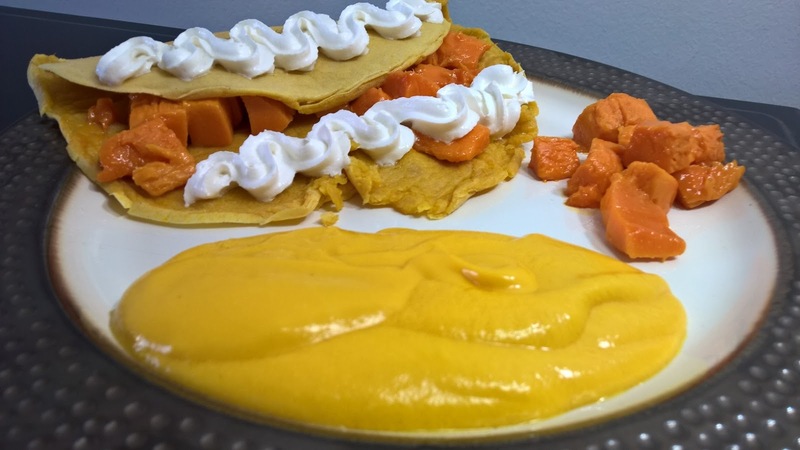 Blend Mango Pulp and Whipping Cream ( 1/2 cup of cream and 1/2 cup of mango pulp) to form thick mango cream !! 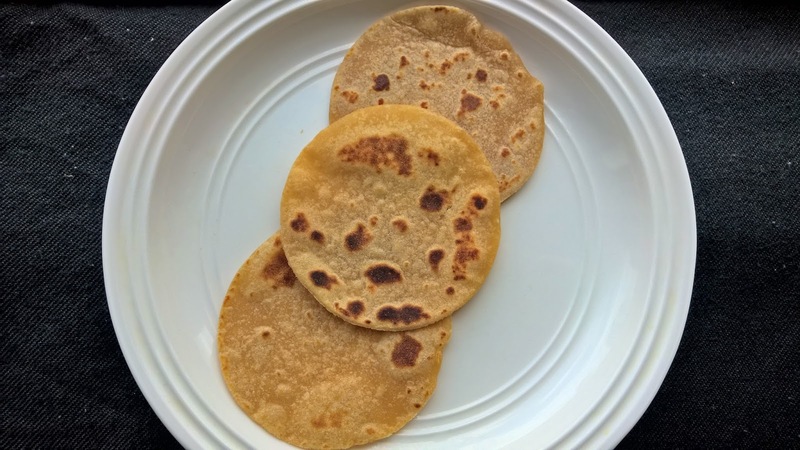 This is one of the staple recipe of any Maharashtrian family. 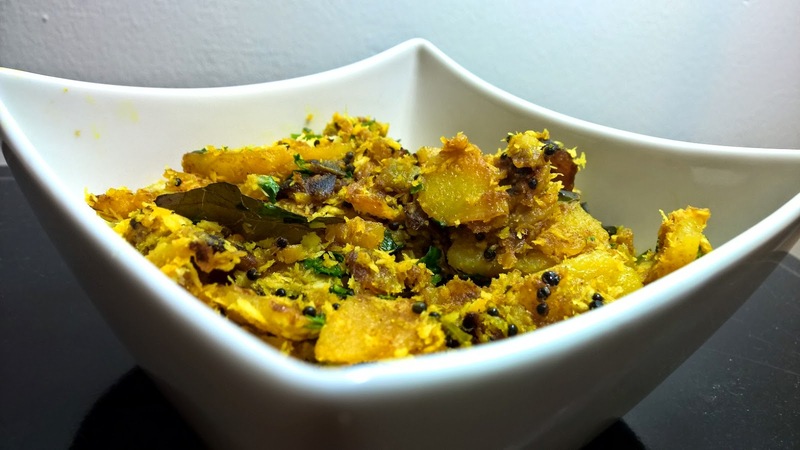 Try this recipe which consists of potatoes, chillies, coconut, curry leaves and lot of flavor ! 2 medium potatoes, thinly sliced. 3 teaspoons of mustard seeds. 2. Add the ghee or oil and once its hot, add the mustard seeds. 3. Once the seeds start to splutter, please add the curry leaves followed by rest of the spices. Do not add salt or coriander and coconut. 4. Now add the potatoes and mix well so that the tempering coats them. 5. Cook for around 8 - 10 minutes. 7. Serve hot with roti / bread or rice. 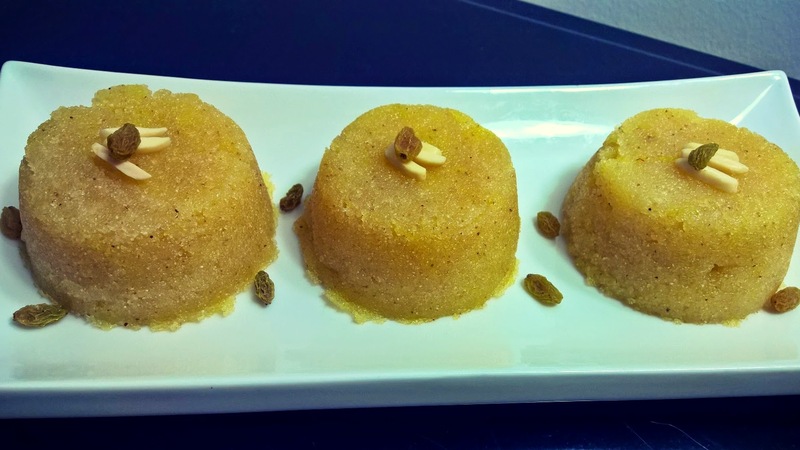 Sheera or Rava Dessert is a very popular item in India and made during any auspicious occasion like Pooja / Marriage and many more. 1. Please pan on medium heat and add the rava. Roast it by stirring for around 4 - 5 minutes. In the meantime, take the water in another pan and keep it to boil. 2. Once the sooji / rava is roasted, it will change its color slightly. Now, slowly add the clarified butter till all the rava is wet. Keep roasting it for another 2- 3 minutes till it starts to give out aroma. 3. Add the boiling water and mix well. The rava / sooji will puff up by absorbing all the water. 4. Add the sugar and mix well. Keep stirring. 5. After about 2 minutes, the sooji will be thick and start to form lumps. 6. Sheera / Rava Dessert is Ready. Add the saffron ( use saffron with warm milk ) and the nuts. 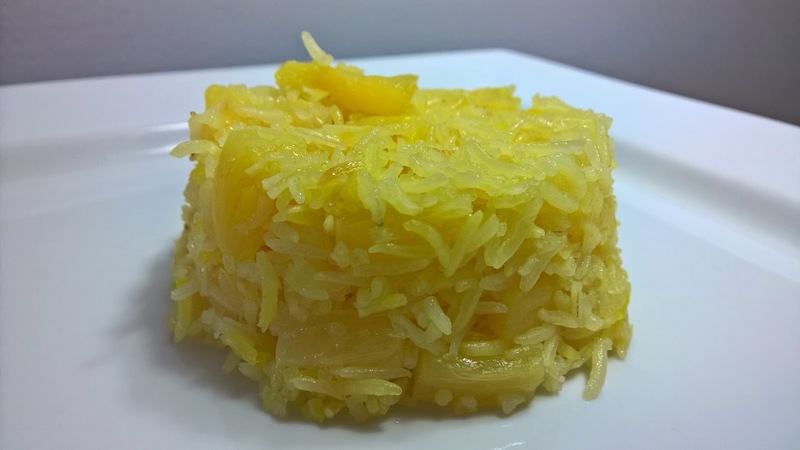 Pineapple rice is one item I have had since childhood. The aroma of cloves, with the sweetness of pineapple and clarified butter, will make this a regular item in your kitchen. Try it once and I am sure you will get hooked. Please do share your feedback too. 1 can of Pineapple chunks / pieces. You can also use fresh pineapple, but if its sour, then you will need some sugar. 1. In a pan, add the clarified butter. Let it be on medium heat. 3. The cloves will start giving out the aroma, now its time to add the rice. 4. Keep stirring the rice and cook in the butter till it slightly turns color. 6. Cover and cook for around 10 -15 minutes. during the summers as that's when you get fresh mangoes, but you can always substitute mangoes with any fruit of your choice. 3 cups of thick yogurt. Normally, the process is to take the regular yogurt, pour it on the muslin cloth and then let it drain out the water overnight. However, if you don't have that much preparation time, you can also use plain Greek yogurt. 1. Add all the ingredients in a big bowl. 3. Once the consistency is thick, add the nuts and your dessert is ready ! Delicate pieces / chunks of cottage cheese ( Paneer ) fried / grilled in an amazing onion and tomato gravy. 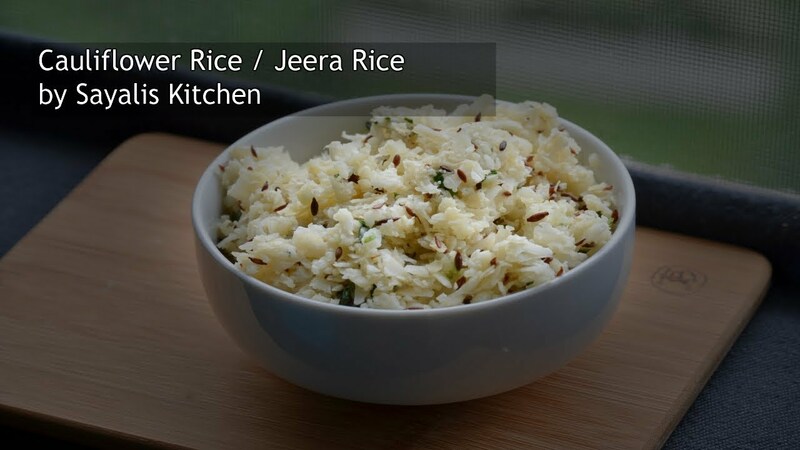 Very easy to make and serve it hot with rice or any bread. This is an amazing alternative to the Chicken Tikka Masala. 400 gm of Cottage Cheese Cubes / Paneer Cubes. 3 medium size tomatoes, chopped. 1. Take all the spices and yogurt, mix it to a smooth paste. 2. Take the cottage cheese cubes and roll them in this paste, keep aside for 20 -30 mins. 1. Take a pan or an oval shaped vessel. Keep it on medium heat. 2. Add a little oil, then once the oil heats up, add the onions and cook them till they turn transparent. 3. Add all the spices, a little salt and the tomatoes. 4. Keep stirring a bit so that the tomatoes and the onions get a nice coating of the spices. 5. cook for around 5 -8 minutes and turn off the heat. Let it cool down. Grind to a fine paste by adding a little water to the blender bowl. 6. Now, for the paneer, add a little oil in the pan and then the cubes. You can also grill them on a griddle however, if the Paneer is not fresh, there are chances it will crumble. 7. Gently stirr and toss the panner to get a nice grill effect on all the sides. 8. In around 9 - 10 mins, your Paneer should be nice golden brown and now its the right time to add in the gravy that we churned. 9. Mix well, cover with lid and let it cook for 5 - 8 mins. 10. Garnish with cashews and coriander. 11. Server hot with breads or rice. What's better than starting your day with a healthy breakfast. 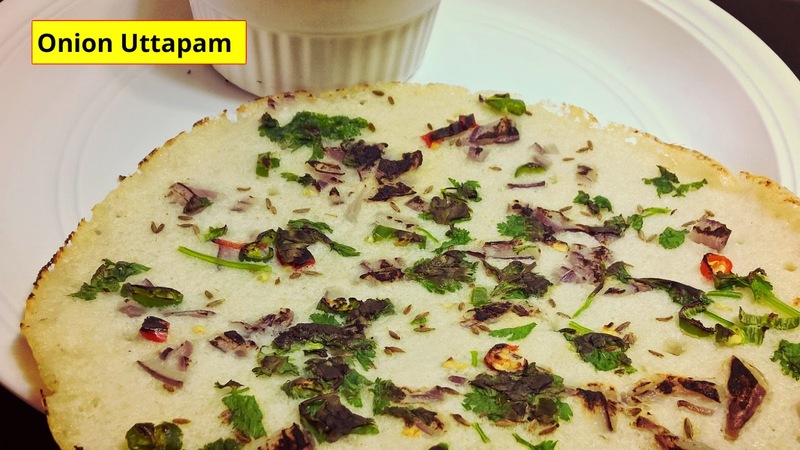 This pancake, also called as Uttapa or Uttapam, is a south INDIAN classic. Provides carbs, protein and add all the veggies you love. Have this with Chutney and energize your day ! Here is the link to the Chutney : https://www.youtube.com/watch?v=xjcP16Ep97U! 1. Wash the rice and daal seperate. 2. Soak them in water ( seperate ) and leave overnight. 3. Grind seperate to a coarse paste and mix together in a large container. 4. Add a little bit of salt and leave it in a warm place for overnight. This will cause the batter to ferment and rise. Do add a little bit of water, consistency should be like lava. Not too runny or not too thick. 5. You are ready to make idlis or uttapam's !! Finely chopped Onions or veggies of your choice. 1. Take a pan / tava / hot plate / griddle and heat it up at high heat. 2. Reduce the heat to medium and add a few drops of oil. 3. Take the batter ( ensure you mix the batter with a spoon for it to aerate), and add a bowl of batter on the pan. 4. Slightly tilt the pan for the batter to spread. 5. Add the toppings , drizzle some oil on the sides and cover it with a lid. Let it cook for around 2 minutes on medium heat. 6. Remove lid and flip. Cook for another 30 seconds - 1 min. 7. Remove on a plate and serve hot with chutney. Enjoy this delicious and healthy chat item. 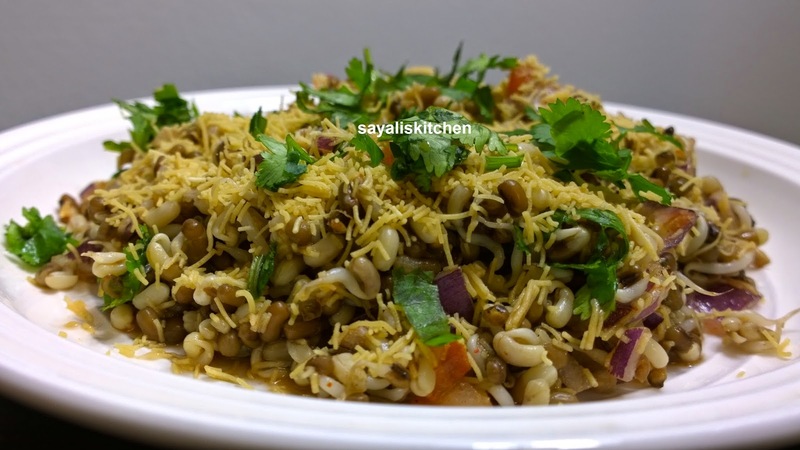 This Mataki Bhel / Sprouts Bhel is very easy to make and very very healthy. You can also use any other favorite sprout of your choice to make this sprouts recipe. Do Share your feedback ! 1. Take sprouts in big bowl. 2. Add onion, tomatoes, red chilli powder and mix it well. 4. Decorate it with sev and coriander and our dish is ready. 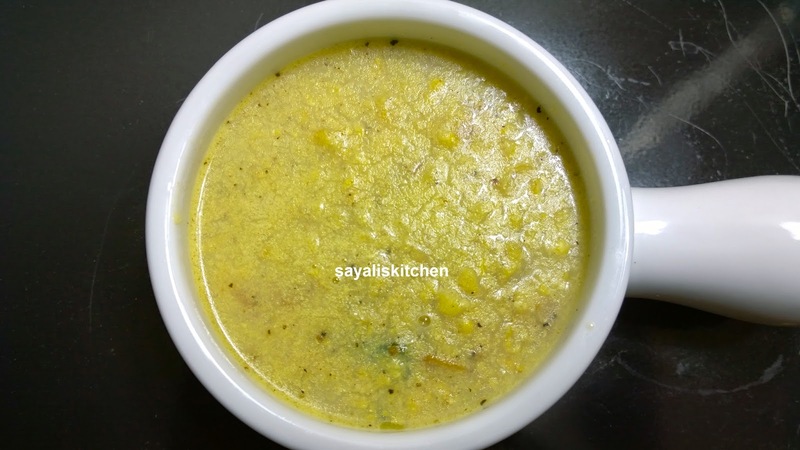 Sweet Corn Soup, sweet flavor of corn and little hotness of pepper makes it very popular among foodies.Try this sweet corn soup recipe and enjoy the warmth in this lovely winter. Do share your feedback ! 1. Make puree of sweet corns. 2. Keep your pan on medium heat and add very little oil. 3. Now add butter. Once butter melts add all purpose flour and mix it well. 4. Now add finely chopped garlic and green chillies. Tip: Just split the green chillies and add to get the hotness in soup. 5. Let it cook for couple of minutes. 6. Now add our sweet corn puree. 7. Once it starts boiling, add black pepper, salt and our dish is ready. Welcome to my kitchen for quick and delicious recipes. This website will not only show you how to cook amazing mouth watering recipes, but in short simple steps. In current busy and hectic lifestyle, you need good and healthy food to be fit ! This is my sincere effort to bring you all the delicacies without compromising on the flavor, aroma and taste and the nutritional value ! Amboli - Authentic Maharashtrian Dish. (Must See). All content owned by Sayali Bhave.. Watermark theme. Powered by Blogger.